And the food trip Friday continues! For lunch, my family and I headed to Almon Marina, it was my father's go-to restaurant whenever we are in SM Megamall. My mom ordered a cup of brewed coffee for only PhP 72. On the other hand, the Pork Back Ribs was a huge disappointment. It was not fall-off-the-bone kind of baby back ribs. My dad was having a hard time slicing the meat and chewing. As you can see in the photo, it was dry too. Pork Back Ribs comes with Fries, Coleslaw, Rice and Hickory Sauce. 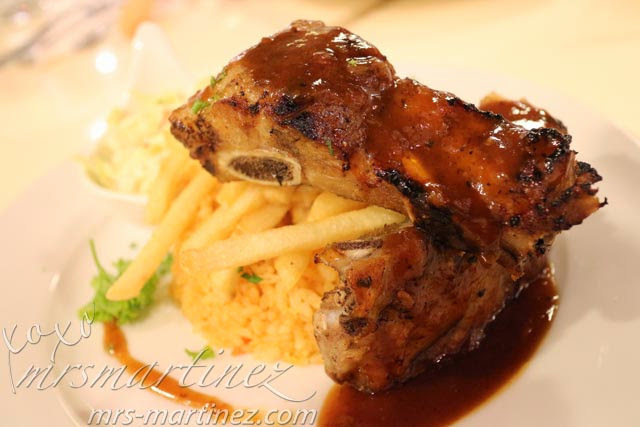 There's another version called Pork Ribs which is a Country Style Pork Rib. 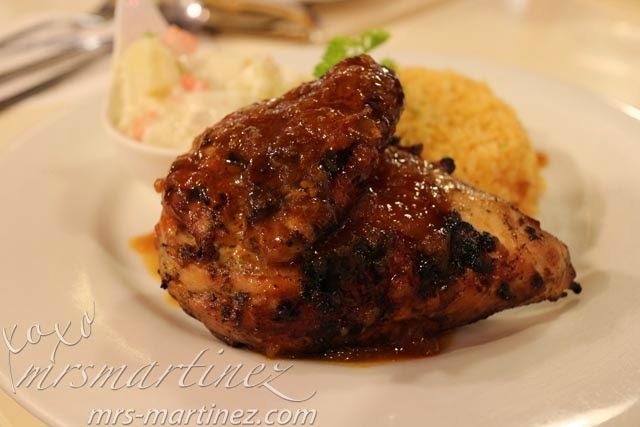 It includes rice pilaff, herb veggies and barbeque sauce for only PhP 240. 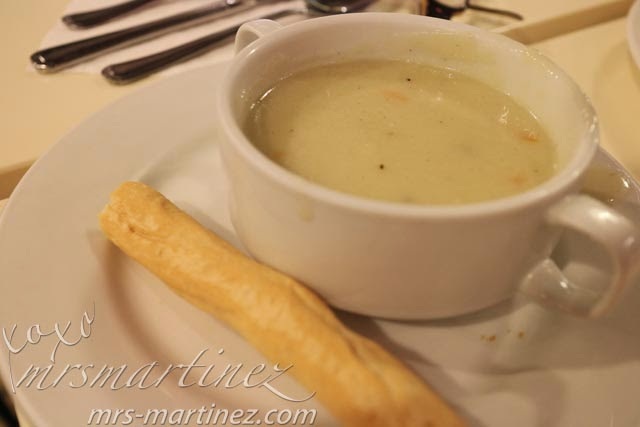 Have you visited Almon Marina lately? What's your favorite on the menu? I want to know so I can try it on my next visit.